Typing Quest is a web-based typing tutor that users can access from any computer with an internet connection - even at home! Typing Quest courses include versatile typing exercises and tests to assess your skills. Hosted by us, Typing Quest is ready for use right away - no installation or technical maintenance is needed and you always keep up with program updates. 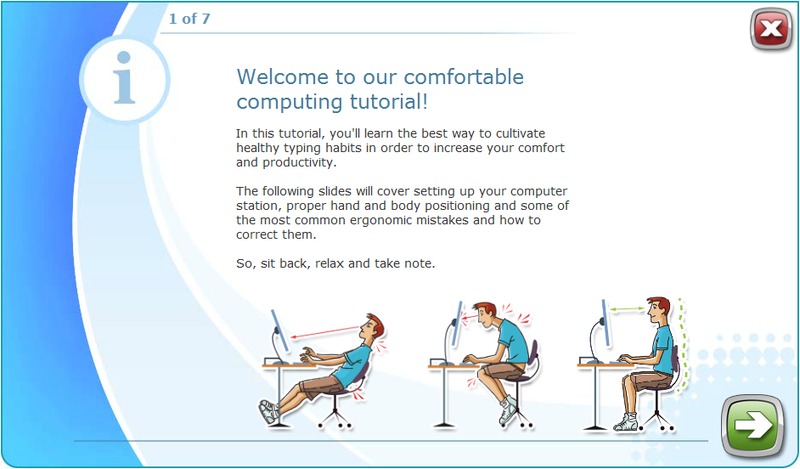 Visual guidance slides help acquaint users with the different aspects of the touch typing technique and ergonomics. 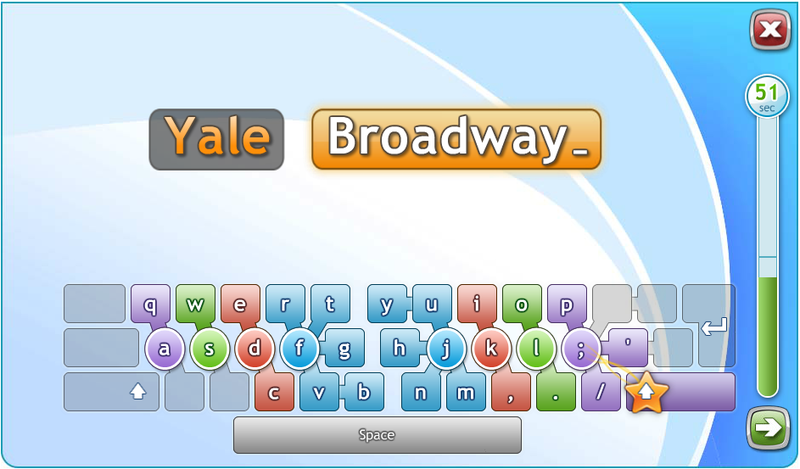 On-screen keyboard makes it easier to learn new keys. Visual scorecard provides an intuitive way to track progress. Typing Quest tracks mistyped words and once per lesson those tricky words are practiced in a special review drill. At the end of each lesson there is a lesson exam to assess users' skill level. 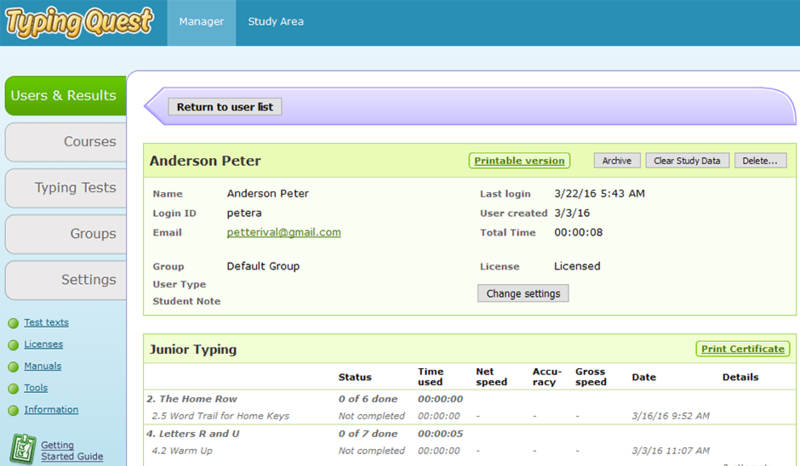 Our excellent user manager tools help you track and assess users' progress and adjust the courses. 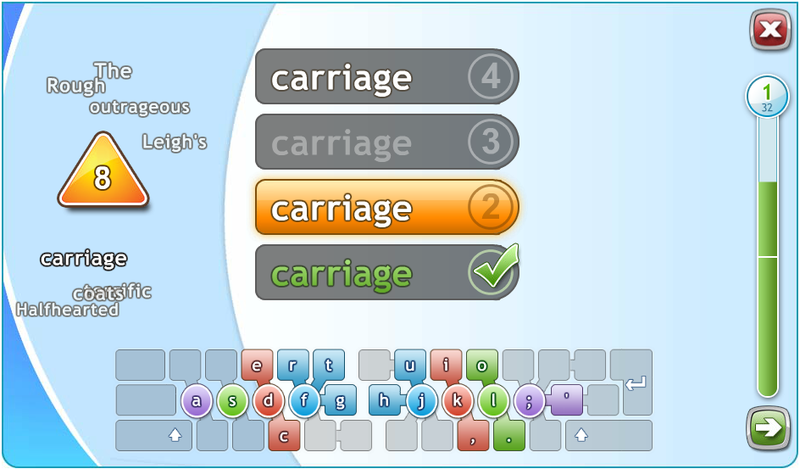 The main keyboarding module covers the entire alphabet and common punctuation such as period, comma and the question mark. 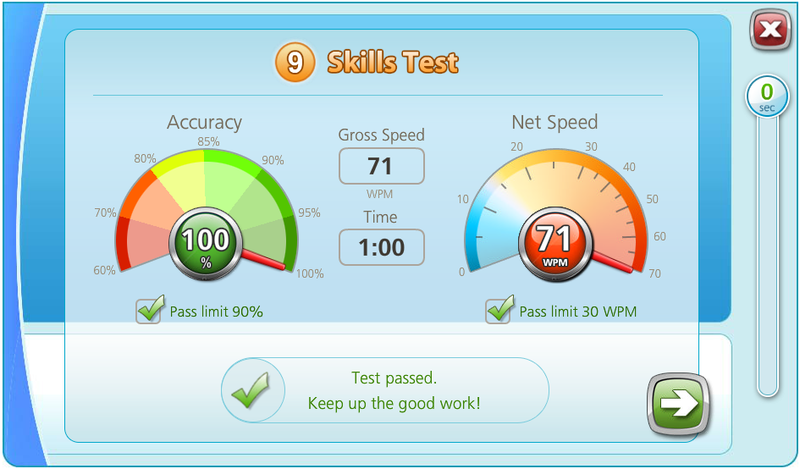 The Speed Building module is designed to increase your typing speed and confidence. You will focus on the keys for each finger, type longer texts and train with common English words. Are you having trouble reaching the correct numbers? This two-lesson module teaches how to type numbers on the number row using touch typing technique. Extend your skills to symbols, including Internet characters, mathematical symbols and different kinds of brackets. Learn to use the 10-key number pad with touch typing technique. 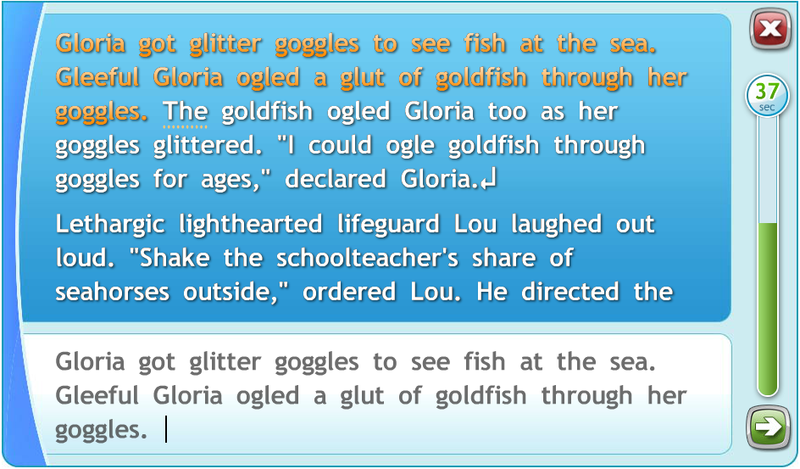 You can easily create your own timed writings to be used as additional practice. Take a quick tour around Typing Quest using our free Sample Lessons to get a general idea of our lesson structure. Learn about different exercise types and try them out without a separate sign-on. Free Trial account gives you access to selected lessons, games and manager tools. You can customize courses and tests to your liking and invite your colleagues to try out as well. 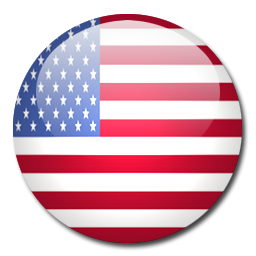 Contact our sales service to purchase the type and size of license that suits you best. We offer user and concurrent licenses for companies. More information in the price list.